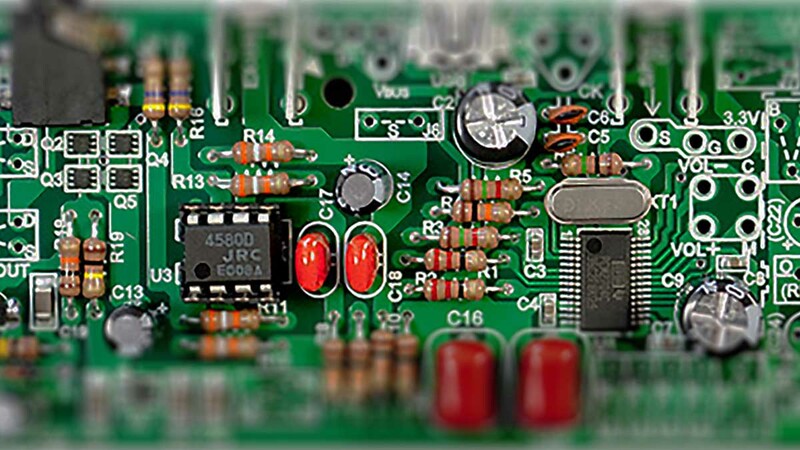 This module converts the digital signal of the sound from PC to analog. Just connect the module to the USB terminal of your PC, then it is automatically recognized - no need of installation. PCM2704C and NJM4580D are adopted for DA converter and OPAmp of the output stage, respectively, for you to enjoy its clear sound. In addition, IC socket is equipped to the OPAmp so that you can exchange the OPAmp with your favorite one to compare the difference in sound. 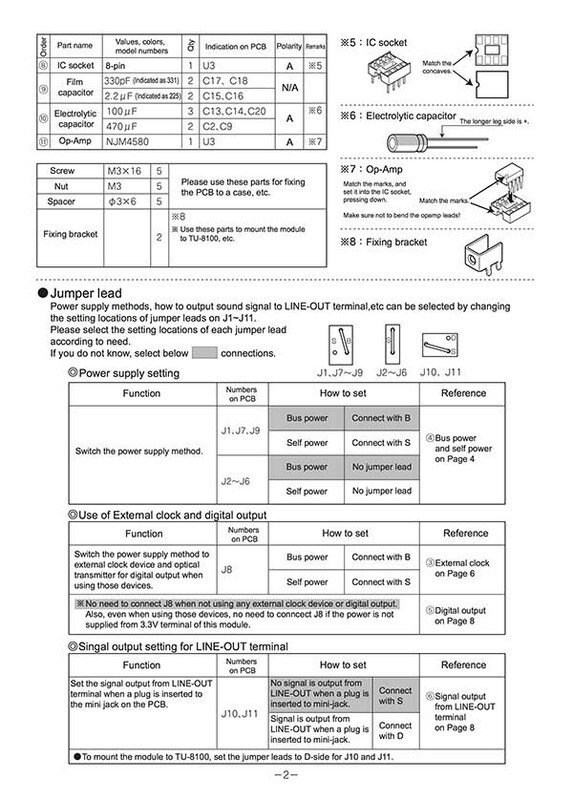 Moreover, there is a room for function expansion that allows modifications for even better sound quality are embedded by default; i.e., power supply system switching terminal (from USB bus power to self-power system supplied from external source), a terminal to supply an external clock. PS-3249 is designed to be embedded in TU-8200 or TU-8100, but also can be used as a standalone USB-DAC module. PS-3249R allows the following extensions. Change the power supply system from USB bus power to self-power system to supply exterminal power. Addition of volume control switch to enable control of the PC volume from the module by adding a push switch. Connection of external clock - Connection of an oscillator with less jitter. 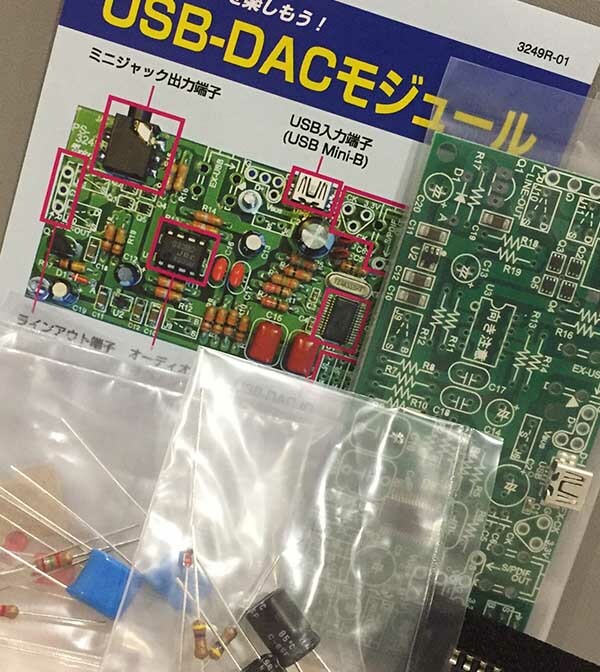 Please remember that this is a DIY kit. It means that YOU will have to build it yourself using assembly manual. 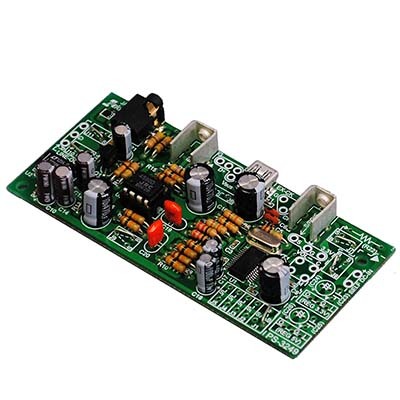 The kit includes all electronic and mechanical parts required to build a ready to work, high quality USB-DAC. It should take 1-2 hours to construct and it will need soldering. You should have some tools and soldering skills. There is not included interconnects nor USB cable.